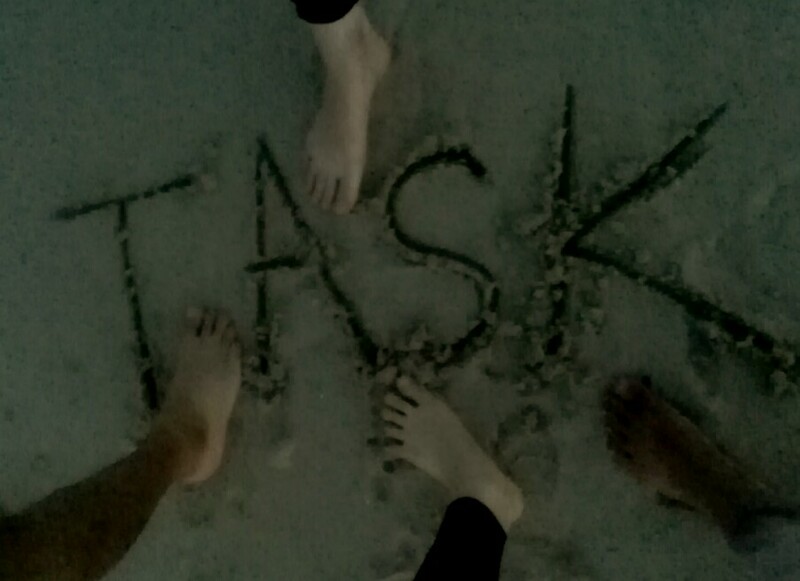 TASK is a performance collective based in Okinawa, Japan that creates ensemble work at and across the borders of dance, poetry, theater, video, and sound art. Their work is deliberately cross-disciplinary in their attempt to create new worlds without boundaries via language and performance. They experiment with languages and cultural references (Japanese/American English), playing with translation and anti-translation, and create movement based narratives with themes related to place, memory, identity, and current social issues within Japan. TASK was formed in 2013 after the group members met in a physical theater class in Naha, Okinawa. They began creating dance videos and live performances with the motivation of finding ways to break down the inhibitions that limit one’s ability to freely express the complexity of the human experience and become freely creative without pretense. TASK is an acronym that alludes to the old Japanese word 助く, as well as the initials of the first names of each member of the group. TASK also runs creativity workshops for communities and individuals with a focus on free play and movement as a method of self-expression and healing. These workshops are tailored to the needs of the participants and do not require any prior performance or movement training. TASK is currently working on a new performance/dance film series about the concept of “home”.